Hi guys, time for a product review. I bought Shane Melaugh’s Viral Quiz builder a few days ago so thought I’d let you know what I think about it so far. I already have one of his other plugins, so testament to how good that was, I had no problem splashing the cash on this one too. For those that don’t know, Viral Quiz Builder (opens in a new window) is a WordPress plugin which allows you to hold quizzes on your website. This is the main function that sucked me into buying, although it also has a load of other features which I’ve tried and will end up using (More on those in a bit). Let me say right from the beginning I think this is a great tool, and well worth the asking price. While I haven’t used all the features yet and haven’t even scratched the surface in terms of what this plugin can do, I can already tell you it’s the top choice in terms of what I’m using it for. Read below for why I think this is the best tool on the market for running questionnaires (The function I originally bought it for), but is also great for driving more traffic to your site, building your list, and much more. Note: This is much more then just a questionnaire plugin, but this was the core reason I bought it so I’ll look at this side of things first. I’ll also cover some of the other features in the section below. For a while now I’ve wanted to run questionnaires on my site. That said, I haven’t really got round to doing so. 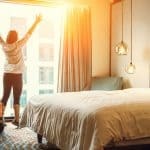 All of the other options I’ve researched before this plugin came along seemed too pricey for what I was after, many charging a recurring monthly fee for their services. You’d have to pay $29.99 a month to get your questionnaire out there, and the company would limit the amount of people that gave you results back before you had to move up to the next price tier. I always felt like I was getting ripped off by this pricing structure (They’re already my customers, why should I have to pay more to reach more of them), so never end up using any of these solutions. When I got a email from Shane about his new questionnaire plugin though, I was interested. Especially when I could use the plugin on as many of my websites as I wanted for a one off price. What’s more, this one off price was super low compared to the monthly fees others were charging, and there was no limit to how many responses I could get back from the people I present my questionnaires to. Good times! I’ve created a few questionnaires since I bought it, and I’m very happy with this solution. Not only are they easy to make, but they’re also highly customizable. You can determine how many questions you ask, what your ‘scoring’ system is, and what happens when people finish the questionnaire. Having this level of control was a must for me when looking for such a plugin, and this one provides. It doesn’t stop there though. As well as allowing you a much better solution then the alternatives in terms of questionnaires, the Viral Quiz Builder does so much more. But why would you want to make your own quizzes? Well, there are a few reasons for this. First of all, you can use it as a form of entertainment for your visitors. People love quizzes, and are highly likely to interact with them and share their results. This plugin makes it super easy to do. You can add your own questions, and you create a personalized ‘badge’ with people’s results on it. This is super useful, as once the quiz is finished and this personalized badge is created, Viral Quiz Builder gives social sharing links for people to share their results on Facebook, Twitter, or on their own website. All of those results lead to better search engine rankings, and more people seeing and completing your quiz (Hence the ‘viral’ part of it). If you’ve been reading Teach Mate site for any real amount of time, you’ll know that I’m a big fan of building your list. 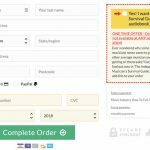 One really cool feature of this plugin is that it can hook up to your list builder (Aweber, Mailchimp etc) and help you get a load more subscribers. One option is to run a quiz, and once your visitors have filled it out, they have to add themselves to your list to see the results. While not everyone will do this, a lot will, as they’ve taken the time to fill in the quiz and want to see what results they’ll get. This is a strong incentive to sign up to your list, so expect to see increased sign ups if you implement this strategy. There are other ways to speed up your list building using this plugin, so check out the features page for more into. 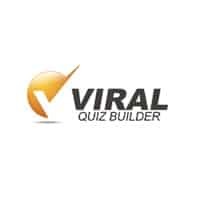 As I’m sure you’ve guessed, I’ve no problem in saying the Viral Quiz Builder is the best WordPress plugins you can buy for those wanting to carry our quizzes and questionnaires without a huge budget. If you haven’t already run out and bought this, you can see more features and buy it here. 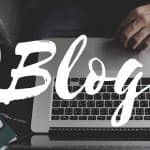 I’ve nothing but praise for this plugin; not only has it allowed me to see what my website visitors really want on a budget (They tell me thought the quizzes I make), but it’s also given me other ways to drive more traffic to my blog. Further more, it’s saved me a load of money over expensive monthly subscriptions other companies try to charge for doing less. The Viral Quiz Builder is a must buy, so get your copy now while it’s still cheap. Hybrid Connect Review, Is This The Best Lightbox Plugin For WordPress? Thanks for your awesome review Shaun! Once thing I don’t get clear about the quiz’ asking price is it a one time payment or a monthly/reoccurring billing? Thanks for your help! It’s a one time payment, they’ve never charged me again.